Woldendorp’s new book ‘The Tree’ published by Fremantle Press, was launched in November 2018. ‘The Tree’ is currently available in leading book stores Australia-wide. Jacqueline Lang wrote an interesting article on Woldendorp and discusses his book ‘The Tree’. Read it on The Starfish here. This August and September, the State Library of Western Australia will be showing a collection of Woldendorp's photographs in an exhibition titled 'Un/nature'. This exhibition explores changes to the natural environment, and reflects on the way the Western Australian landscape has been remade over time. Maptia, a website dedicated to storytelling, photography, and adventure, has published an article on Richard’s aerial photography along with some of his thoughts to his approach and how he relates to the Australian landscape from the air. Read the Article in Maptia here. 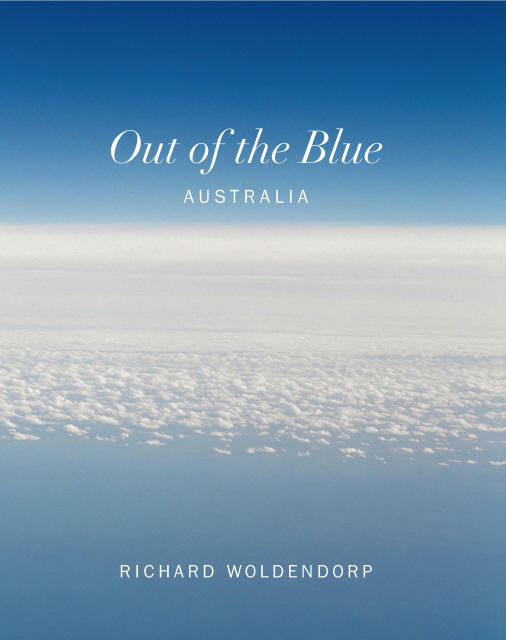 Linton & Kay Galleries are proud to present Richard Woldendorp’s ‘Out of the Blue’ Exhibition at their Perth City Gallery. ‘A Different Point of View’ is a joint exhibition with Hong Kong artist Cecilia Ho. 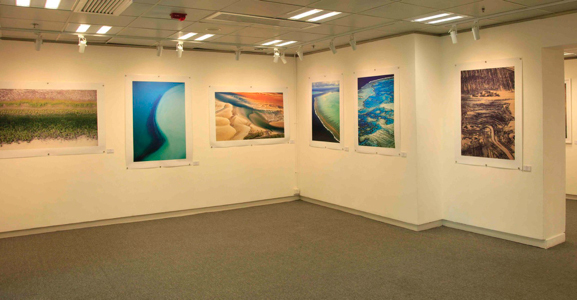 It was exhibited at the Hong Kong Visual Arts Centre from 2nd - 12th June 2014. ‘A Different Point of View’ was also exhibited in Macau from 9th - 19th October 2014 at the Unesco site, Mount Fortress, Macau. 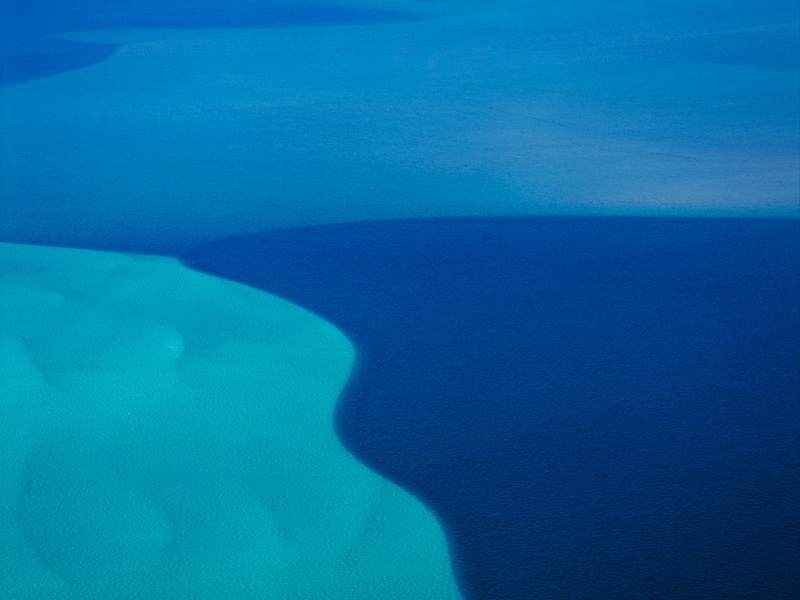 “Photographer Richard Woldendorp’s amazing aerial images of the Western Australia landscape are an ethereal backdrop to the 2014 Telstra Perth Fashion Festival campaign. Excerpt from The Sunday Times Magazine (pictured), written by Mel Evans. The latest issue of ‘f11’ magazine for photographers and aficionados, features an article on Richard and his new book ‘Out of the Blue’. One of Richard’s stunning water shots adorns the cover of the magazine. 12th November 2013 - National Library, Canberra. ‘Out of the Blue’ is available from leading bookstores. Woldendorp with his Order of Australia medal, being admired by his wife Lyn. Woldendorp was appointed a Member of the Order of Australia (AM), in the Queen’s Birthday 2012 Honours List – for his contribution to the Arts as an Australian Landscape Photographer. The Investiture Ceremony was held at Government House, Perth 21st Sept 2012. 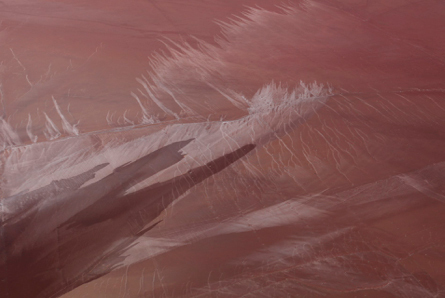 Richard’s long touring Abstract Earth exhibition toured by Art on the Move, is now showing at Lake Grace Regional Artspace from 10 October - 9 November 2013. Richard will have a public floor talk on Sunday 27 October from 2-4pm, and will talk to local schools at the gallery on Monday 28 October 2013.